There is 'heogyun·heonanseolheon birthplace' near Gangneung Gyeongpoho. On the opposite side, there is 'heogyun·heonanseolheon Memorial Hall'. 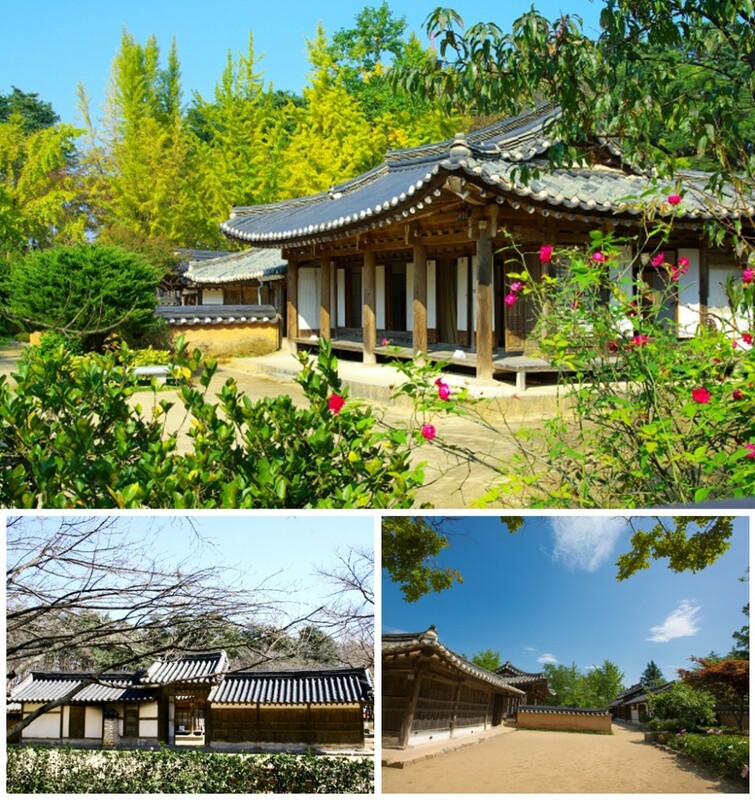 The herbarium of Heogyun and Heonanseolheon in chodang-dong, Gangneung-si is designated as the Cultural Properties Data No. 59. The house is 5 rooms on the front and 2 rooms on the side. It consists of a spacious kitchen, a room, and a large hall. Narrow doors next to wells and mills were provided to allow women to enter and leave men and women. The pine forest around the house adds to the taste and spaciousness of traditional hanok. He was born in 1563 (18 years old) in the birthplace of Gangneung Supporters' Party, the third daughter of a three-seater woman. Her name is Heo Choshi. It is a calligraphy of the orchid, which is made of the innocence of orchids and the clean image of the snow. Heon-seon Heun built the Gwanghwamun Baek-ogwang Sangmunmun in 1570 (the third year of his ancestor) at the age of eight, He was married to Sungdong Kim in 1577 when he was 15 years old. And in 1589, he left at the young age of 27.